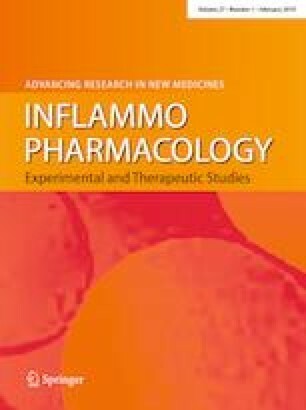 This study aimed to explore the correlation of circulating inflammatory cytokines’ levels with treatment response to etanercept (ETN) treatment in psoriasis patients. 97 moderate-to-severe plaque-psoriasis patients were continuously recruited in this prospective cohort study, and all patients received ETN treatment. Serum samples were collected before and at 6 months (M6) after treatment, and nine inflammatory cytokines expressions were detected by enzyme-linked immuno sorbent assay. Psoriasis Area and Severity Index (PASI) score was evaluated at baseline (M0), 1 month (M1), 3 months (M3) and M6 after treatment, and the corresponding PASI 75/90 responses’ rates were calculated. Tumor necrosis factor-alpha (TNF-α), interleukin (IL)-1β, IL-6, IL-12, IL-17A, IL-22, IL-23, and IL-32 levels were reduced, while IL-10 level was elevated at M6 after ETN treatment compared to baseline. PASI 75/90 responses’ rates to ETN were 69.1 and 38.1% at M6, respectively. IL-1β and IL-17A levels were elevated in PASI 75-response patients compared to PASI 75 non-response patients, while IL-17A level was also increased in PASI 90-response patients compared to PASI 90 non-response patients. Multivariate logistic regression revealed that IL-1β, IL-17A and combined phototherapy during study predicted higher, while previous systemic biologic treatment predicted lower PASI 75 response to ETN independently. In addition, IL-17A independently predicted higher PASI 90 response to ETN as well. IL-1β, IL-17A, and combined phototherapy predicts higher while previous systemic biologic treatment predicts lower treatment response to ETN independently in psoriasis patients. Yufang Liu and Guifang Qin contributed equally to this work.